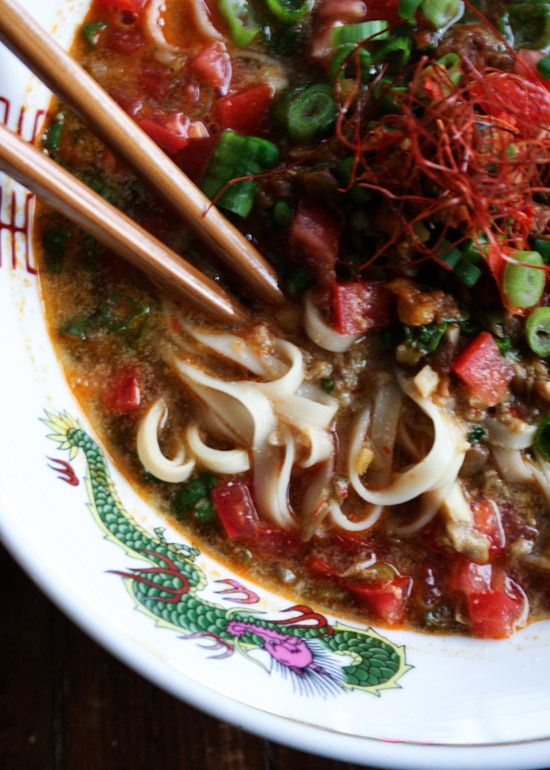 Dan dan noodle soup is rich, spicy, flavorful, and warm. 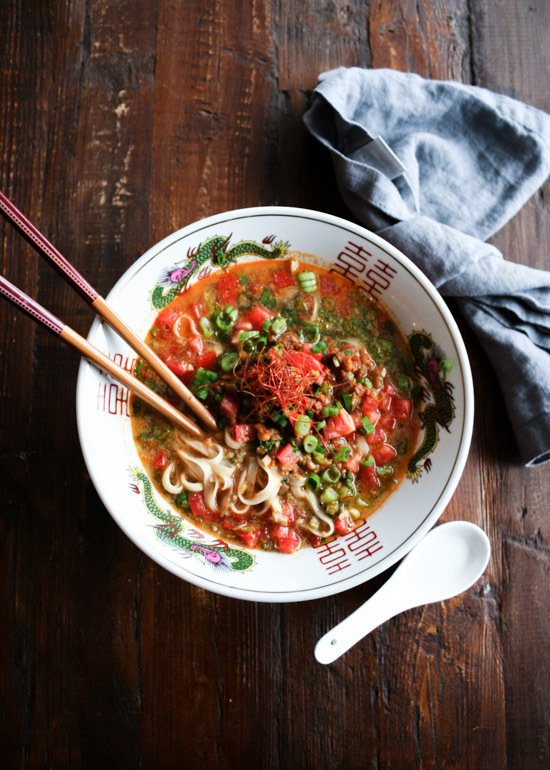 Noodle soup makes you warm, but dan dan noodle soup seems to make you particularly warm, maybe because of the spiciness and the richness in the flavor combination. 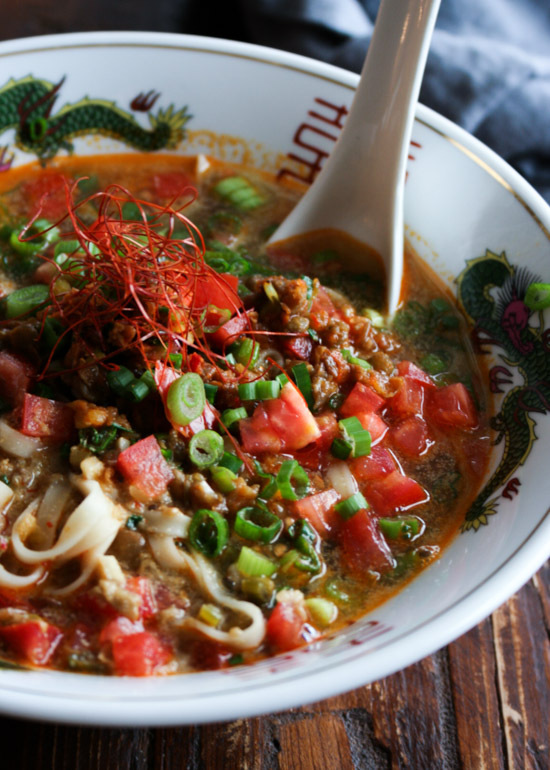 The traditional dan dan noodle soup has spicy ground meat as the main topping. 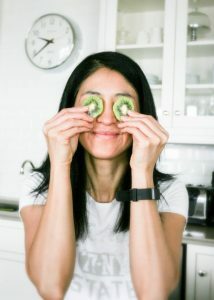 My version has mashed lentils, and this was an awesome idea (if I may say so myself!). I loved the texture and how they soaked up the soup. The soup is rich, flavorful, and spicy, just the way I wanted. 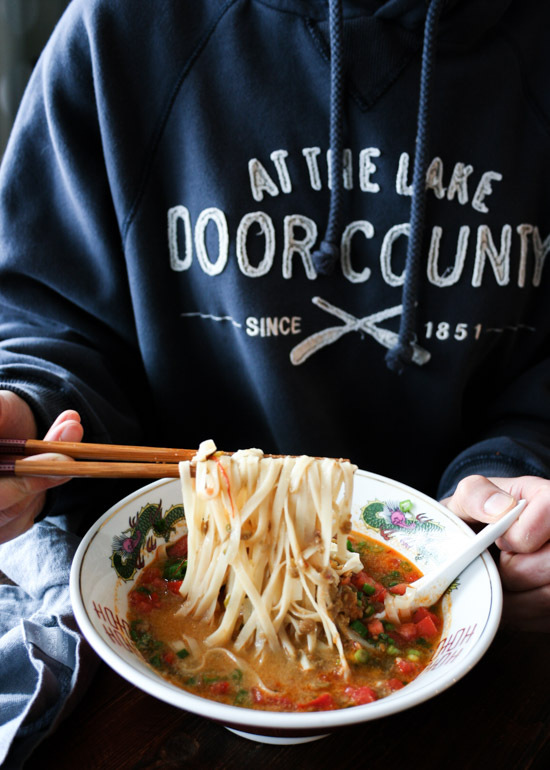 Noodle soup has always been my comfort food. This was written by Reiko Tanaka. Posted on Sunday, December 30, 2018, at 8:49 pm. Filed under Asian Food, Noodles/Pasta, Soup/Stew. Bookmark the permalink. Follow comments here with the RSS feed. Post a comment or leave a trackback.